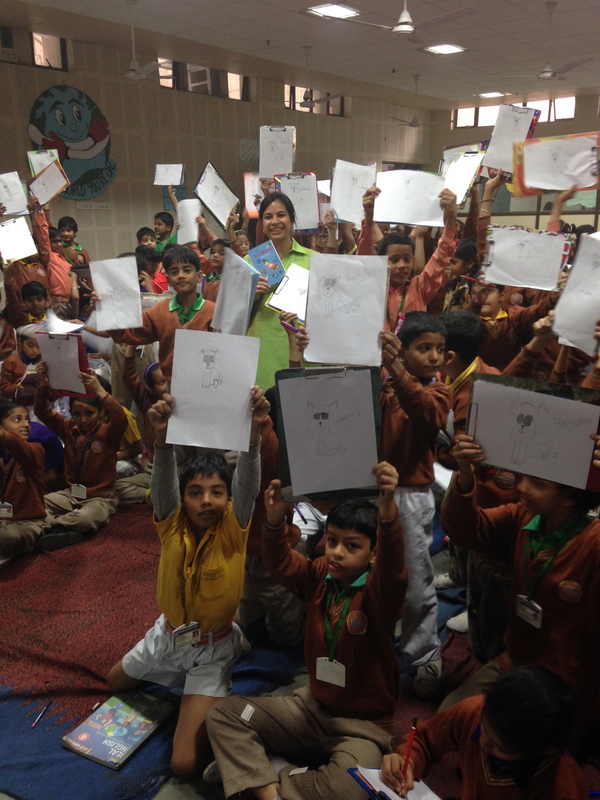 I have conducted numerous readings in schools, bookstores and literature festivals across India. For younger children, props, costumes, songs, sound effects, dramatisation and the children’s involvement in the story-telling becomes a crucial part of my reading. 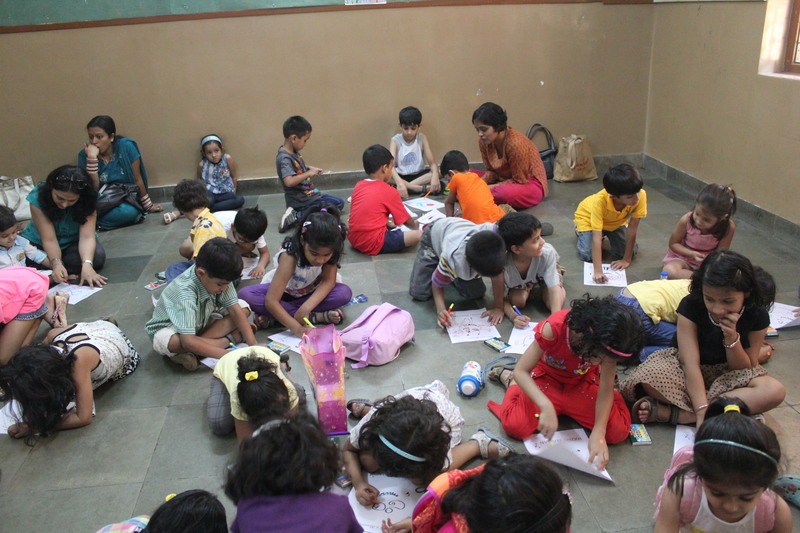 For older children, quizzes, interesting facts and puzzles etc get incorporated to make for an exciting session. My aim during a History-Mystery reading is to show children that history can be a lot of fun. 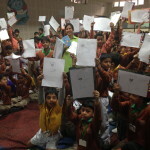 With coded messages, rulers with strange habits and many things including language both written and spoken being different from what they know today, I try and give children a glimpse into the wonder of Indian history. 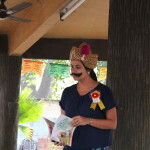 The History Mystery books, Akbar and the Tricky Traitor, Ashoka and the Muddled Messages and Raja Raja and the Swapped Sacks use humor and a fictional construct to make history enjoyable for a child as young as eight years. Each book is loaded with facts and what is fact or fiction is highlighted at the end of each book. 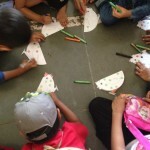 The session follows in the same tone, using humor to engage the children. Introduce children to the concept of eras, CE/BCE and a sense of where the rulers are in place and time. Read a chapter from one of the books. Throw out questions on what the children know about Ashoka (wheel on the flag, India’s emblem etc). Take them briefly through the fact that we didn’t know anything about Ashoka for many years. His inscriptions on pillars were in a script that we had forgotten how to read. I tell them about historians being investigators, detectives, puzzle solvers, code crackers. We work through an exciting coded sheet to translate Ashoka’s messages. Using a presentation we move on to quizzing on hysterically historical facts. I use this to highlight how as a writer, I must be factually accurate while writing historical fiction. The talk is very interactive and I often throw the floor open to their thoughts, replies, questions. If time permits, I like to take up questions on writing, inspiration for stories and more such. The session is ideal for children age 8-11 years. The session with my book Bonkers! as the hook, shows children the working of a writer’s mind. I recount experiences from my childhood, that I drew on for inspiration to create characters and episodes in this book. 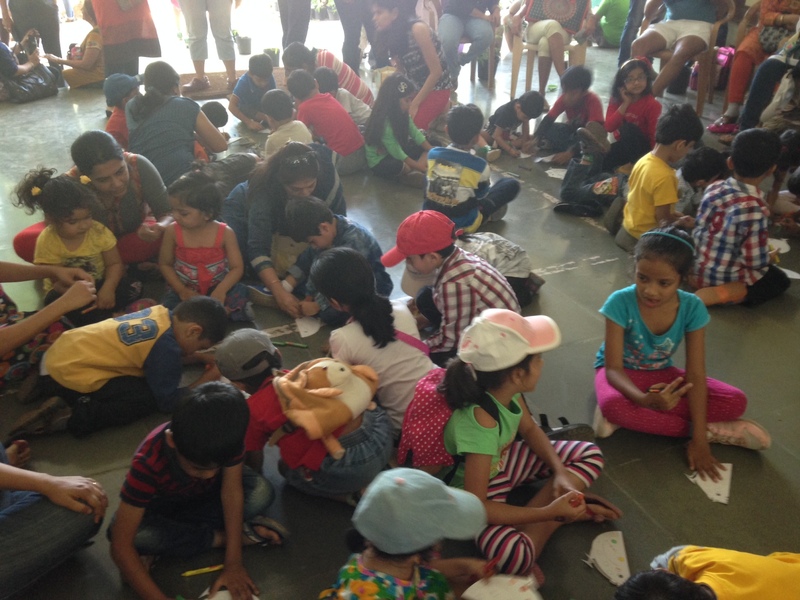 Having grown up in a home full of 40 animals and 6 humans, in a little town in North India, my childhood was spent in a world quite unlike that of most children growing up today. In my sessions, children love to hear the stories and adventures I had with all the animals in my home, particularly my dogs. I link it to the way my dogs taught me important lessons in punctuality and overcoming fears. In keeping with the story itself and my tone of writing, the episodes incorporate humour. I go on to read a chapter from the book, while interjecting it with bits of conversation based on what has been read aloud. If a projector is available, I show them a short clip of my dog and the advice he gives through all his crazy actions at home. The children accompany me in doing a step-by-step rendering of Bonkers. I have conducted a reading of Bonkers! 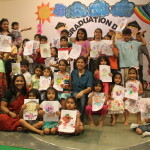 at schools, bookstores and literature festivals including Bookaroo in Pune, Junior Writer’s Bug in Mumbai and Kahani Festival in Mumbai. Ideal for children age 5-8 years. I find it hard to write this down without giggling, for this is one crazy romp through a reading. Full of burps, slurps, nibbles and gigantic sneezes, I love to read this out to children age 5-8 years. By the end of the reading, the kids are so astonished by the unusual royal family, that they choose not to indulge in their icky, yucky and mucky ways themselves! 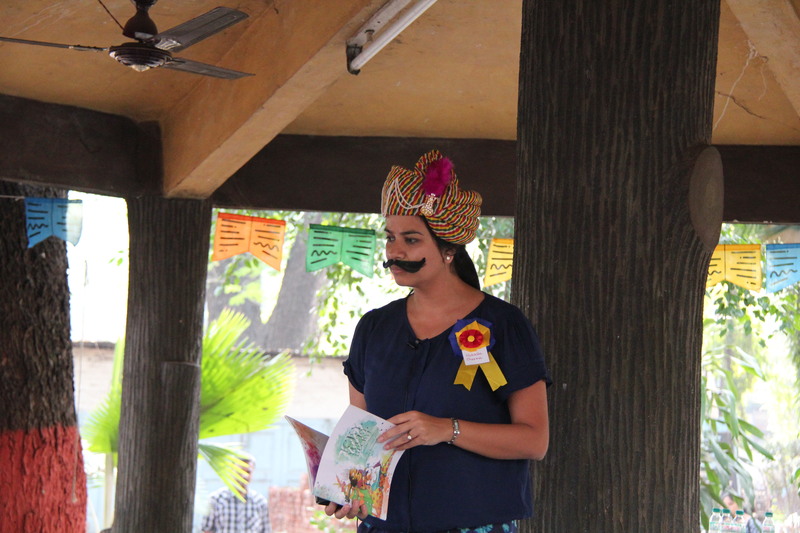 The children often get an inkling that things are about to get wild when they see me don a moustache and turban to turn myself into Maharaja Icky from the book. My reading is accompanied by sounds that play in the background on the audio system, serving to exaggerate all the terrible table manners the Maharaja has and the nail nibbling ways of his Queen, Maharani Yucky. The fun continues till the very end. 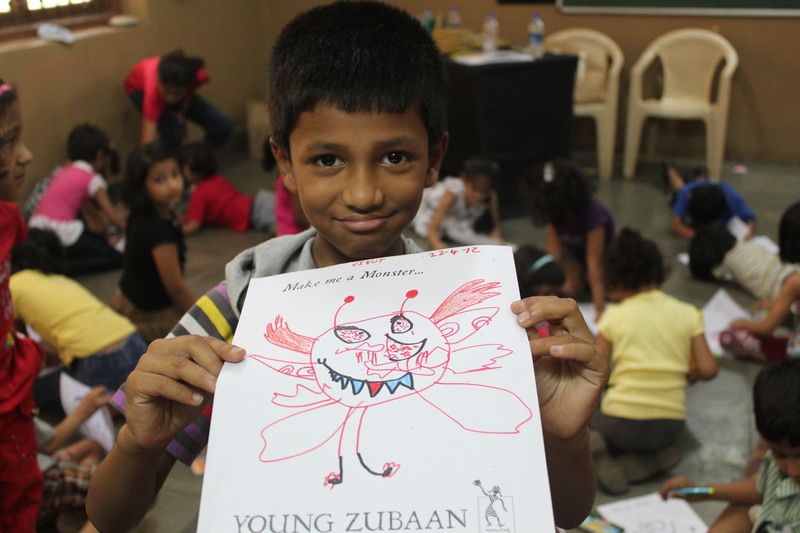 Time permitting, I include an art activity – MAKE YOUR OWN SPLOTCH MONSTER. The children require crayons and felt pens. 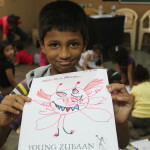 I hand out sheets of paper that have partly drawn monster bits by the illustrator of the book Anitha Balachandran. They get to draw and colour in their very own splotch monsters, extending the messiness of the illustrations into their artwork. It serves to show that splotches can be rather artistic as well and they get to decide what characteristics to give them monsters. Alternatively, I round it off with the Icky, Yucky, Mucky song. Hear our trio of editor, illustrator and me sing it on the page about Icky, Yucky, Mucky! 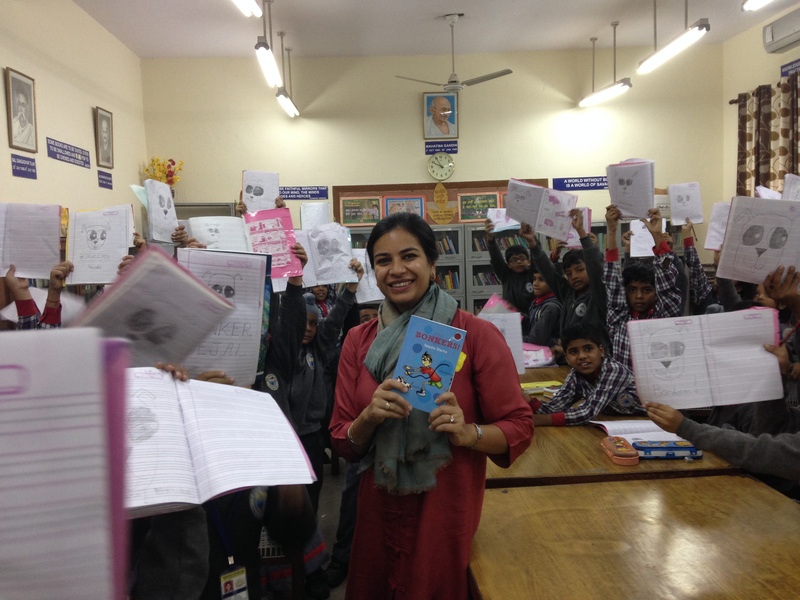 Icky, Yucky, Mucky was my first book published and I have done numerous readings at literature festivals, schools, libraries and bookstores across India. 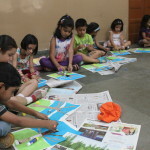 The session is ideal for children age 5-8 years. 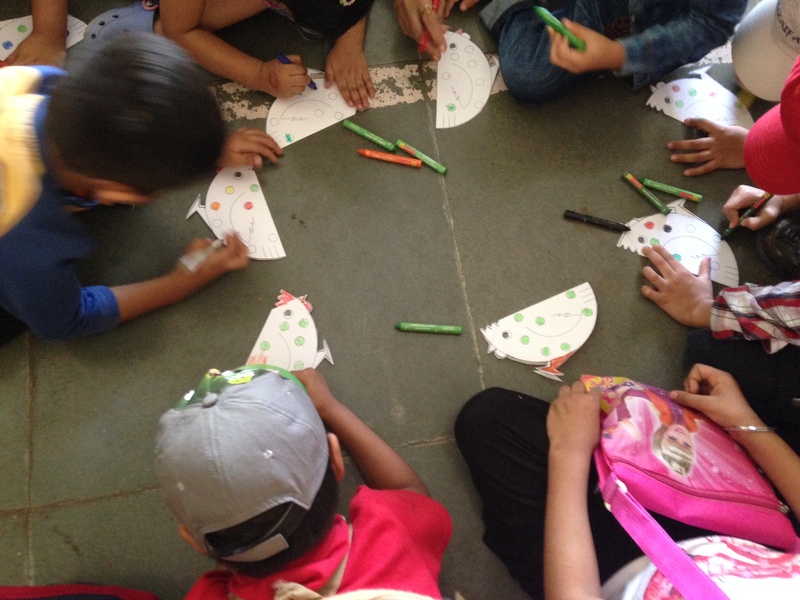 Be prepared for a room full of children moo-ing, meow-ing and braying, for Rooster Raga makes for a wonderfully animated session with pre-primary children. Once I don some rooster headgear (that was recently approved during a school visit by a 4 year old – ‘You look very nice with it on’), it’s time to stamp dhap, dham, dhap with the donkey, shake our heads with the cow, wiggle our bottoms with the duck and end with a foot tapping song and dance. It is a rooster’s raga, after all. 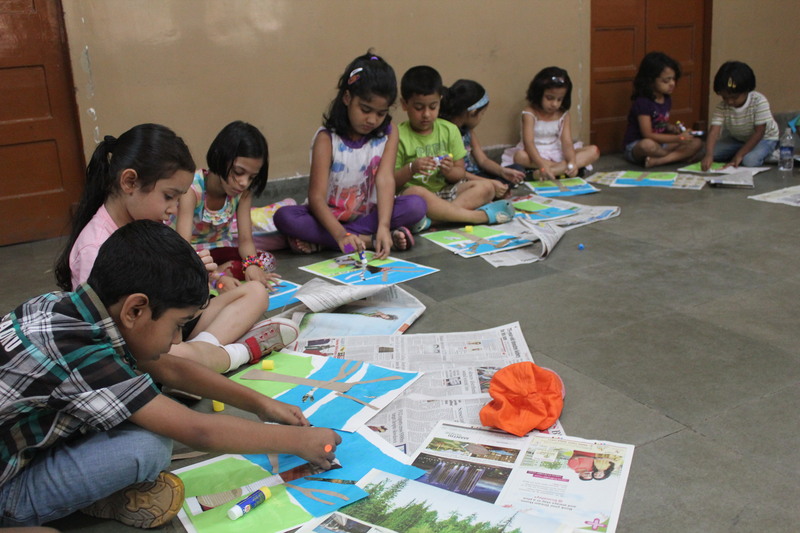 The reading can be followed with an art activity in their classrooms or you can send an entire activity kit to parents – downloadable in the Activities for children section. 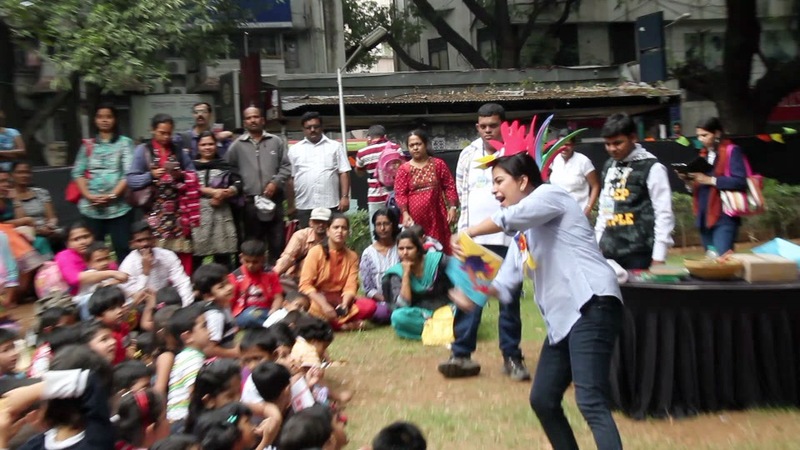 Hear the Rooster Raga song and get ready to groove! Since Kaka and Munni is a cumulative story, I use visual aids to help the children see the chain building up before them. 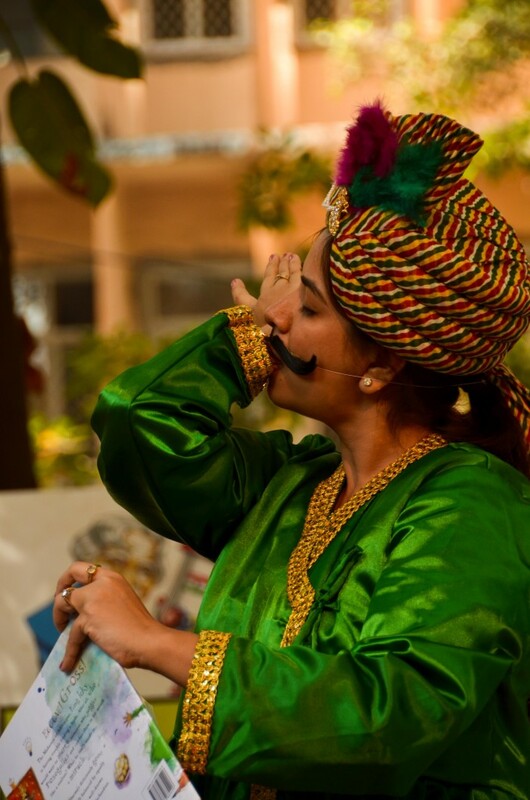 With the help of a few children from the audience, props and a stick puppet of a crow, the folk tale from Punjab, retold by me in the story Kaka and Munni, comes alive for the children. Ideal for children age 4-7 years. Kitab Khana Bookstore, Mumbai. 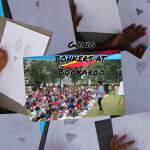 Reading from Bonkers! Municipal School, Ward 1, Mumbai. 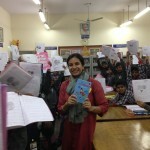 Read Kaka and Munni as part of a Pratham Books and Mumbai Port Trust book distribution ceremony. 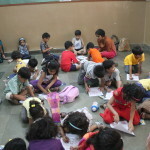 Little Palms School, Mumbai. Readings from Icky, Yucky, Mucky! and Kaka and Munni. 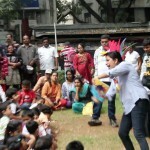 Kala Ghoda Arts festival, Mumbai. Reading from Kaka and Munni. 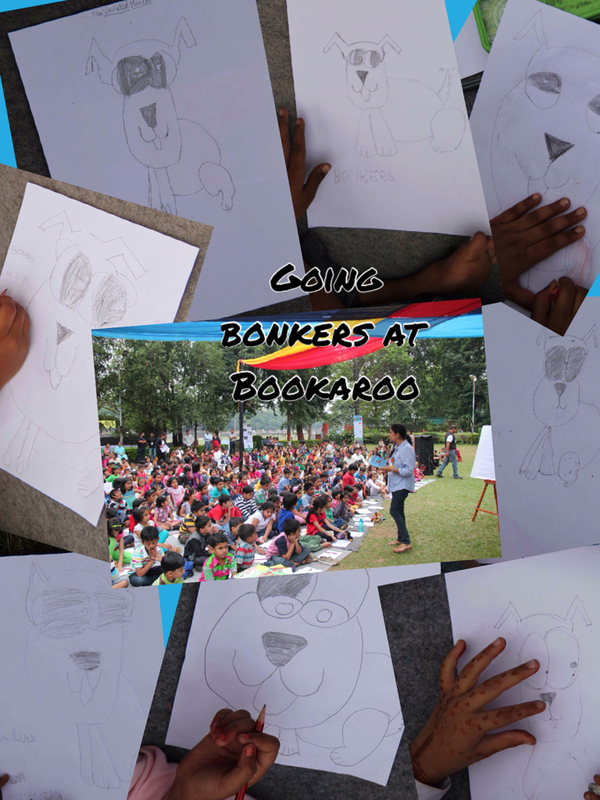 Bookaroo Children’s Literature Festival, New Delhi. Sessions on Kaka and Munni and Icky, Yucky Mucky! 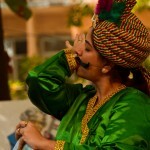 NCPA Lit Fest, Mumbai. Rhyme and Rhythm – an introduction to poetry. 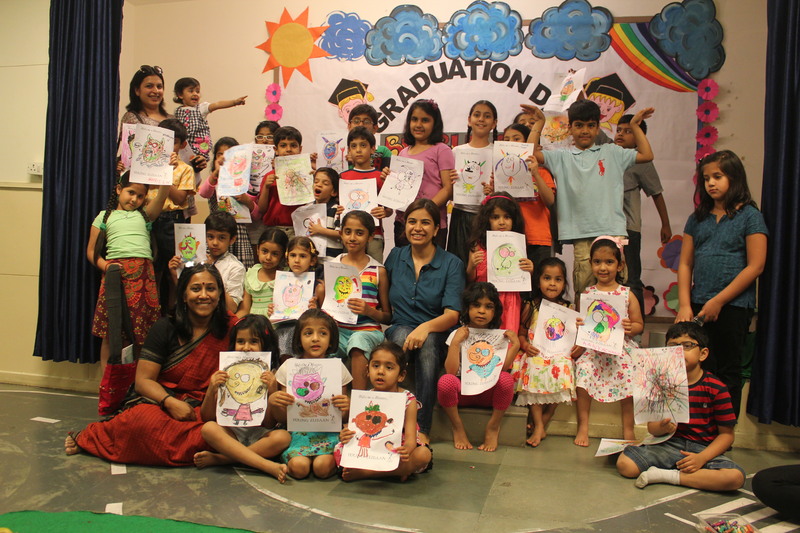 Westwind School, Mumbai. Readings from Icky, Yucky, Mucky! and Kaka and Munni. 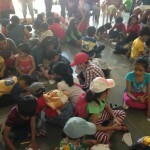 American School, Mumbai. Reading from Icky, Yucky, Mucky! Treasure Books, Bandra. Reading from Icky, Yucky, Mucky! Readings of Icky, Yucky, Mucky!